The iLoad Pro Digital USB load cell offers direct measurement of loads via the USB port of a PC. No need for signal conditioners, data acquisition systems or special software. Just connect and start measuring! If you are looking for a USB Load Cell to measure loads and forces over short time periods in a temperature controlled indoor environment, you will not find a better or more convenient load cell than the iLoad Pro digital load cell! The iLoad Pro Series offers greater ruggedness and improved cable strain relief for more demanding applications and convenient threaded holes on top and bottom of the sensor for easy mounting to plates and platforms. 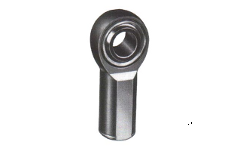 You can even attach eye bolts, leveling feet or rod-ends to incorporate these sensors into your application. Loadstar’s iLoad Pro Digital USB series of load cells provides unprecedented integration of sensing and measurement electronics in a single low profile body, to make it easy to measure, log and plot forces and loads directly on your PC with our LoadVUE software. You can even write your own applications in VisualBasic, /C++, LabVIEW or Matlab! No need for signal conditioning or data acquisition system. 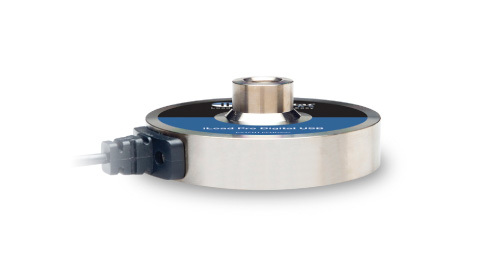 You can also access UART/Serial TTl Signals or ANalog output from this load cell. Simply connect the digital load cell to a PC via the USB port. 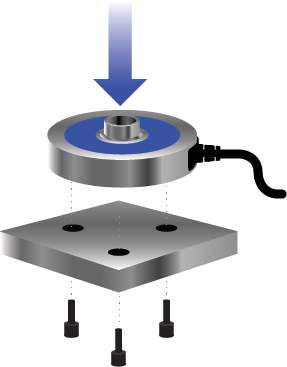 The digital load cell appears on the PC as a virtual COM port. Using a standard terminal emulator send commands to the sensor to display loads on screen. They can either be one at a time or in continuous operation mode. Alternatively, use our entry level LoadVUE Pro 1000 load cell software or any of our other LoadVUE load cell software programs to simplify load measurements on a PC. Our iLoad Series capacitive load cells can optionally output an Analog 0-5 V DC output from the same sensor! This analog output is in addition to the normal digital Serial TTL or USB output that is available as a standard feature. If you purchase the optional HX-100 hybrid load cell breakout board, then you can get easy access to the analog as well as the digital output. We provide optional analog calibration as an additional option when ordering these digital load cells. If you are looking to develop your own custom software application, these sensors offer convenient ASCII commands to obtain calibrated load information directly from the sensor without need for any signal conditioning, calibration or data processing. With just a few commands you'll be able to incorporate load/force/weight information into your application. Click here for an example of sample commands. You can use Visual Basic, Visual C++, Matlab, LABView or any other application development environment to create your custom applications with our sensors. Loadstar Sensors' award winning capacitive load cells offer unmatched ease of use in a low profile, rugged and integrated package. Our capacitive load cells offer serial, USB as well as Analog (0-5V DC) output without the need for any special signal conditioning equipment. These sensors are excellent for applications in controlled room temperature conditions such as those available in R & D labs, Universities and test facilities where one needs to do a quick measurement of loads and forces, log data and visualize the data as a force vs. time plot. Our USB or wireless load cells can be used directly with a PC while our analog load cells with 0-5 VDC output are ideal for use with a PLC or existing data acquisition system. Diameter 1.25 in. 3 in. 3 in. 3.25 in. to 5 in. Height 0.25 in. 0.5 in. 1.2 in. 0.66-0.90 in. Once you've picked a load cell and max capacity, please select an analog interface device for a 0-5 VDC output if needed.